World Enough and Time: On Creativity and Slowing Down by Christian McEwen, Baughan Publishing (Peterborough, NH), 2011, 367 pp. I recognized the title line immediately, from Andrew Marvell’s “To His Coy Mistress,” and loved the way the author had plucked it from its context of sexual seduction to entice us into a contemplation of slowness. McEwen’s World Enough and Time is a series of carefully considered essays on slowing down, and the necessary relationship between slowness and creativity. I see myself as a creative artist with both my preaching and my writing, and I know that neither one is possible without making a life that is spacious and slow. I struggle to preach on Sunday if I don’t have a quiet day off on Friday. The slow time matters, even if I am not working on the sermon itself. With that in mind, I was eager and receptive to read this book, which was given as an assignment by my Macedonian Ministries group. McEwen begins with a basic case for slowness and a compelling indictment of modern American life, which she diagnoses with “hurry sickness.” Hurry sickness is a feeling of time poverty, so that life is lived in constant motion without the chance to linger, reflect, absorb or tarry. I have read many books on this theme, with corresponding statistical or theological or sociological analysis. McEwen offers none of those. She simply points out, with a poet’s care and sharpness, what we all know: a life full to the brim with activity is often empty of meaning, depth and relationship. For the remainder of the book, she devotes a chapter each to a varied list of slow activities, slow gifts and slow ways of being. In each chapter, McEwen looks at the lives of artists and practitioners in those areas, combing their lives and art for quotations and insights about the process of creativity and slowness. She examines the gift of a long conversation with a friend, childhood experiences in nature, walking, reading, writing (especially reading and writing poetry), silence, sabbath, storytelling and meditation. Two of my favorite chapters were the ones on dreaming and on looking. Every week, my journey with the Gospel is a quest to see it with new eyes. The stories are familiar and many are well-worn. Yet, when they are seen with fresh eyes, they give us new life. In “Across the Bridge of Dreams,” she catalogs the relationship between creativity and dreams. I don’t usually share this, but this book has given me courage. Dreaming is a critically important part of my sermon writing process. I concentrate and work at the computer to research and think and analyze, but the mystical presence of the Gospel good news only comes to me when I sleep. I lay down in prayer with the sermon in my mind, and in that hazy place between dreaming and waking, the Spirit does its work to bind it all together for me. Sometimes, I will awake in the night to make notes. Other times, I dream it over and over again so that by morning it is all clear and ready to transcribe. According to McEwen, I am not alone. She shared that Samuel Coleridge, Jorge Luis Borges, Isabelle Allende, William Styron, and Robert Louis Stevenson all described writing in through their dreams, and included dreams in their process much the same way that I do. (245-249) It’s not simply paying attention or gaining insight or journaling about my dreams–the dreaming is an essential part of the writing process for me. I have to work it out in the dream. The same was true for them. 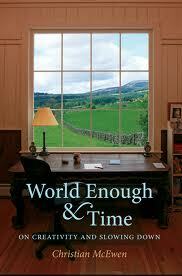 World Enough and Time was a rich experience from beginning to end. The book demands slowness in the experience of reading, so that you might contemplate and ruminate on all the things McEwen brings together. It also invites a re-reading, as a whole or just a chapter that piques your interest for a time. It is a book that invites you to dive in and surface again, to splash around here and there rather than simply consuming it from one end to the other. If you ever needed a compelling case for slowing down and creating space in your life, especially if you are an artist in any way, McEwen’s World Enough and Time is just what you need. 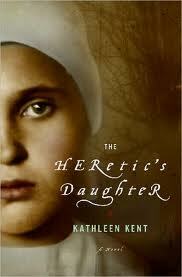 The Heretic’s Daughter by Kathleen Kent, Little, Brown and Company, 2008, 332 pp. The Heretic’s Daughter is a novel about the Salem Witch Trials, inspired by the author’s genealogical discovery of a distant relation with one of the women tried and hanged as a witch at Salem. I was nervous about the book’s content on both of those counts: I didn’t anything to do with a book that made it seem that the Salem Witch Trials had anything really to do with witches, nor was I interested in a personal genealogical fantasy. The jacket convinced me to give it a try, and I was not disappointed. The Heretic’s Daughter is told from the perspective of Sarah Carrier, the daughter of Martha Carrier, who was hanged as a witch at Salem and is kin to the author. It is as much a story about growing up in the tough conditions in the colonies, where religious and social climate is as harsh and dangerous as the Massachusetts winter. Sarah and her siblings must navigate this dangerous life of small pox, lawlessness, attacks by Native Americans, and crop failures that can trigger starvation. Sarah’s parents initially appear to match the cruel disdain of the landscape, but as the novel unpacks their story to her and to us, we come to treasure their fortitude and love for each other and for their children. 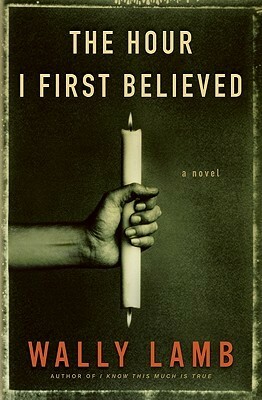 The novel was a beautifully written story from beginning to end. It is faithful to the history of the Salem trauma, focusing on the political and personal causes at work against those who were accused and convicted, even drawing on some of the feminist history written in the last several decades. The book does not try to make a case for its own historicity, but the author uses her imagination in conjunction with her research to give us a story that is beautiful, compelling and fascinating to read. History buffs especially will appreciate some of the creative back-story she creates. 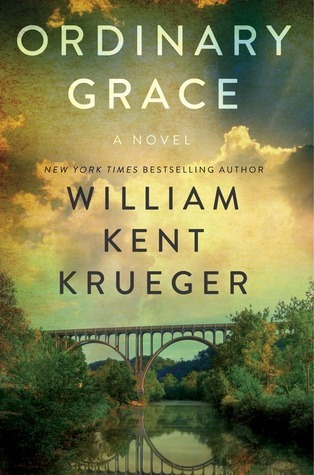 An enjoyable read for anyone who likes historical fiction. Talking About Evangelism: A Congregational Resource by D. Mark Davis (part of the Holy Conversations series), Pilgrim Press, 2007, 111 pp. D. Mark Davis’ book is designed as study for church groups to use as they consider and reconsider the role and importance of evangelism. Davis begins by acknowledging the tension around the meaning of evangelism. While evangelism is supposed to be simply about sharing the joyous good news of Christ, it has often devolved into a coercive act of persuasion, convincing others that your truth is better than their truth. How can we engage in evangelism that is open-hearted and open-minded, not confrontational and judgmental? Davis reassesses the entire practice and meaning in this short study. Davis himself grew up in a conservative tradition that practiced aggressive evangelical tactics aimed at convincing other people of their need to “accept Jesus Christ as their Lord and Savior.” He shares memorable personal stories throughout the book of his own experiences, both positive and negative, and his changes in perspective along the way. Davis’ study is rooted in scripture, with several deep studies of biblical texts about sharing our faith. He also includes a detailed and helpful discussion guide that is an easily executed lesson plan for any church group reading the study. I think this book would be ideal for churches who think of evangelism and faith sharing as something “those people” do, or cannot conceive of a way of sharing faith that is not coercive or judgmental. It is long on explanation and justification, shorter on implementation. It is not a “how-to” book in a concrete, easily applicable way, but it is an important first step for congregations and individuals who are resistant or at a loss for how to begin any kind of conversation about faith-sharing.